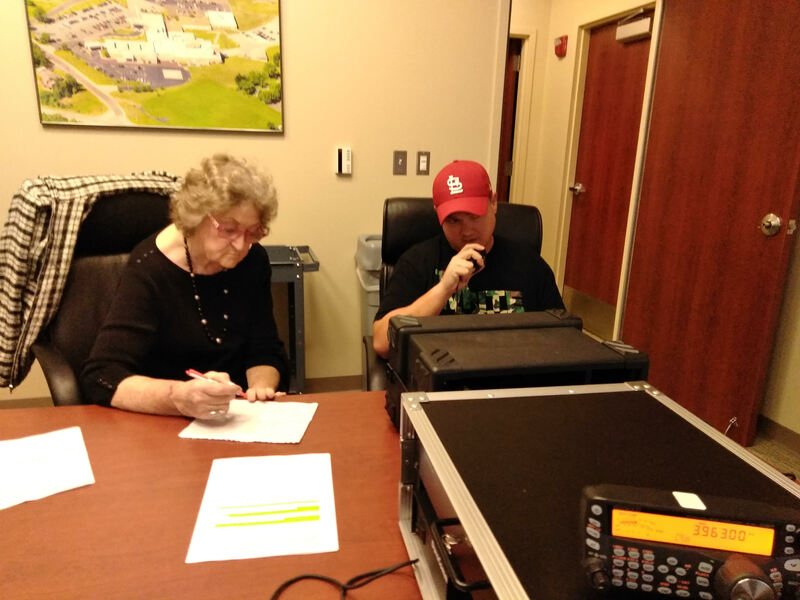 The Sullivan Amateur Radio Club participated today in the Hospital Amateur Radio Network in support of Missouri Baptist Hospital in Sullivan, MO. In attendance were Chris Westrick (KD0JVF), Barb Siegfried (KD0JVB), and John McReynolds (KC0NRO). After receiving training on the equipment at last night’s club meeting, the Sullivan Amateur Radio Club has renewed its commitment to the hospital to participate in all of these exercises in the future. John McReynolds will be heading up this effort and will help ensure that we have trained people there for each of these events. Below is a picture of Chris and Barb, hard at work this morning during the exercise!